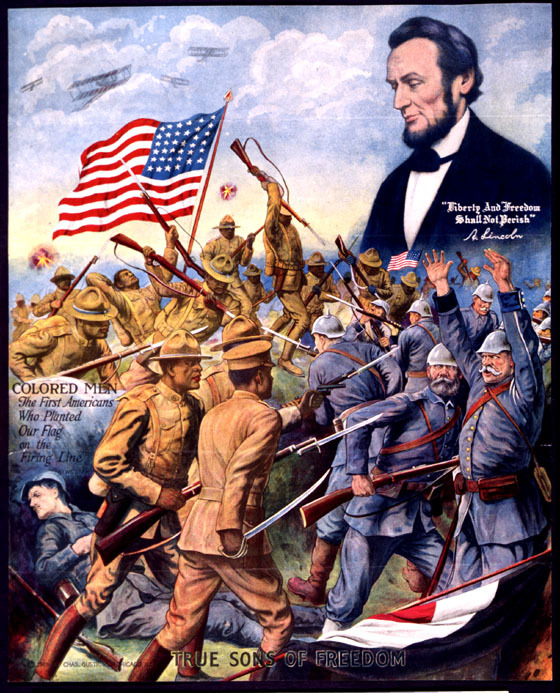 "True Sons of Freedom," by Charles Gustrine, is a poster depicting African-American soldiers fighting against the German army. Three hundred and fifty thousand African Americans participated in the segregated U.S. army during WWI, but they were often limited to being support troops. Many units found combat fighting alongside the French, and some African-American soldiers returned home decorated with French honors and medals for their impact on the war. 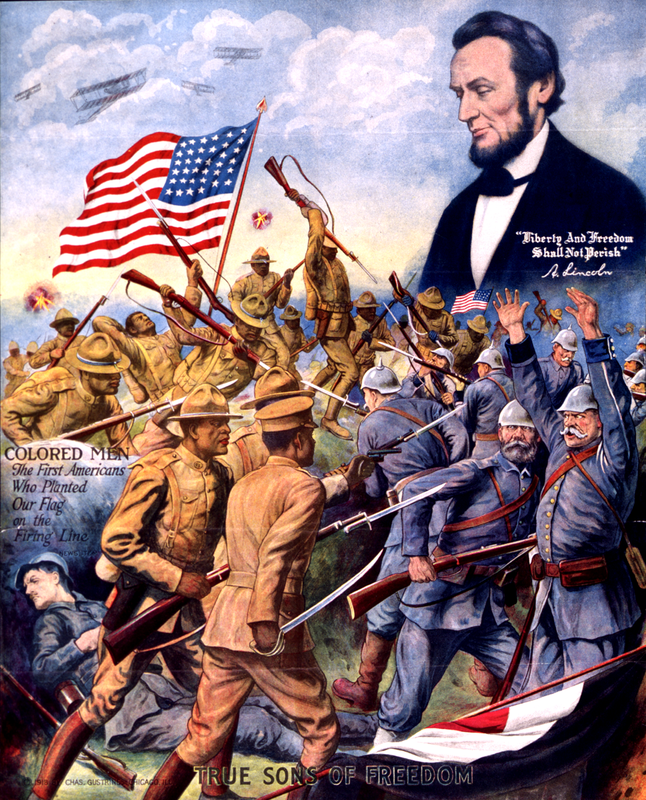 Many African Americans believed that their participation in WWI was proof that African Americans had earned the rights that were being denied to them at home. Source | Charles Gustrine, "True Sons of Freedom," color-offset poster (Chicago, 1918) from Library of Congress, African American Odyssey: World War I and Postwar Society (Part One) http://hdl.loc.gov/loc.pnp/cph.3g02426. 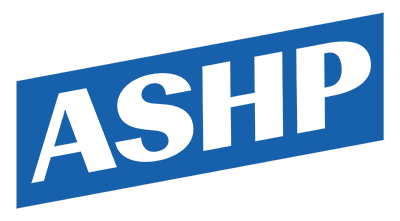 Cite This document | Charles Gustrine, “"True Sons of Freedom",” HERB: Resources for Teachers, accessed April 20, 2019, https://herb.ashp.cuny.edu/items/show/1210.